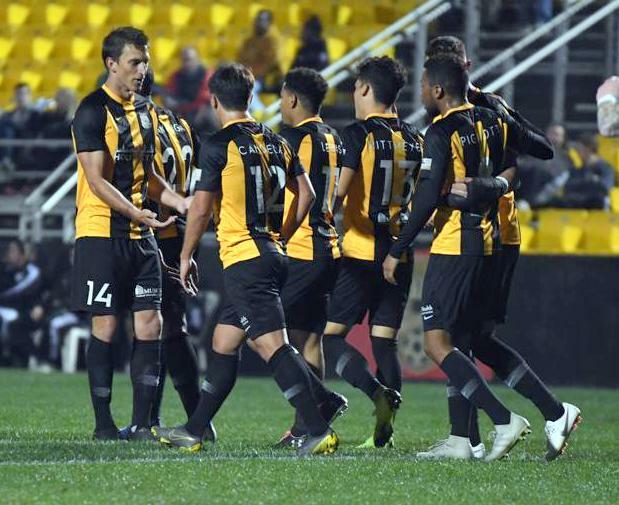 Zeiko Lewis and his Charleston Battery defeated Hartford Athletic 2 - 1 at MUSC Health Stadium. Lewis, making his first USL Championship appearance opened the scoring in the 17th minute. The Bermuda International danced around multiple defenders before playing a pass to the feet of Romario Piggott. Piggott flicked a quick ball over the Hartford backline to a sprinting Lewis who controlled the ball beautifully and struck the ball well and hard off the near post to put the Battery up 1-0.